Meet the loving mother of 2! Motivated by the positive and encouraging energy of the team is what Ashley loves about Belmont. The level of dedication and care in which we serve is why she values being on the team. Her favorite thing to do is to spend time with her kids and her husband, going through adventurous hiking journeys, dancing cheerfully, and experiencing incredible travel, especially to the Caribbean! What makes Ashley unique is that she has great value for her personal and professional career. 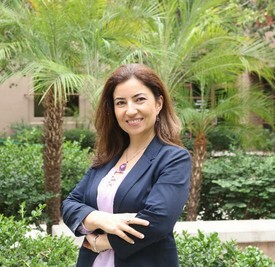 Her dedication to create a connection and to help people achieve their best health is what makes her happy. Her aspirations and goals are continuing to succeed providing patients with exceptional care and to open the doors to traveling the world with her family and create memories that will last forever. 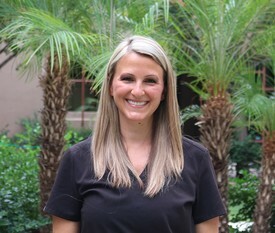 Meet our hygienist Danielle who has been with Belmont 9 years. She enjoys talking to her patients about dental care or oral hygiene. Daniel does her absolute best in helping her patients to improve their dental education and experience. What makes Danielle unique that she loves her wonderful patients who became a part of our dental family. A little over a year ago Danielle married Steve, they enjoy travelling across the world, be outdoors and spent time with families in Chicago. Furthermore , working out and being healthy are a big part of her daily life. Meet Cecilia! Not only a valuable piece to the puzzle that makes the Belmont engine run, but also the heart. Cecilia’s hard work and energy is what she prides herself most on and helping patients better understand their dental health needs is her goal! She loves working at Belmont because she is attracted to the quality overall care. She always strives to be in a working environment that is happy and healthy; this office is where she finds it. This brings her upmost peace and it allows her to spend time with family and enjoy adventurous activities! Meet Sierra! Born in the artsy town of Santa Fe, NM, she is all about having fun and having great experiences. 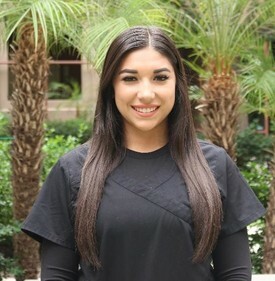 What she loves about Belmont is the high level of esthetic as she grows in her dental assistant carrier she can appreciate the cosmetic and restorative dentistry provided by Dr. Sadhu. Sierra enjoys being part of the great team! When she’s out of the office, she dedicates her time to fitness and bumping out to her favorite music. If you need a Yoga master/trainer in the future she’s the guru! Before she turns 30, her goal is to see all 50 states! She aspires to be successful in anything she pursues so that she can build the life (and dream house!) that she always wanted.